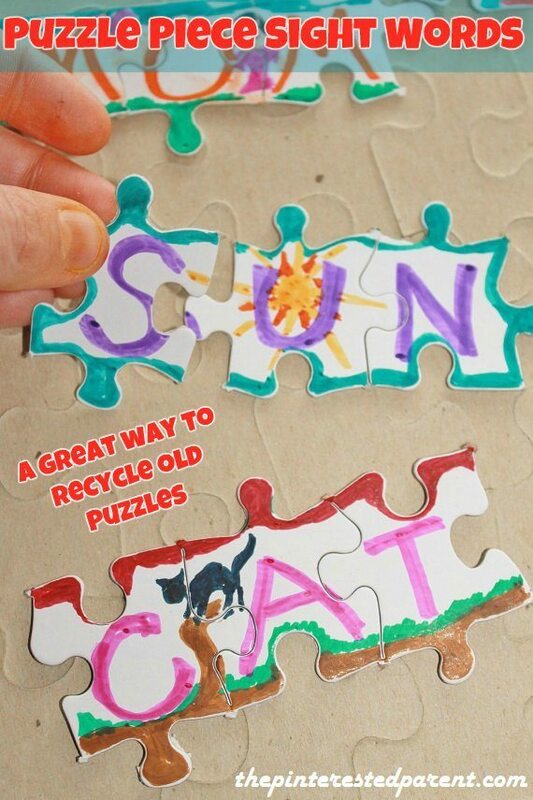 Our upcoming move has become a great source of inspiration in our crafts lately. With all of the time that we have been spending packing & fixing up our house to put it on the market, it is no wonder. We painted our finished cellar last week. My daughter wanted to help my husband roll the paint on the walls, but being the paranoid mom that I am, I did not want her downstairs breathing in the paint fumes. It did give me an idea though. 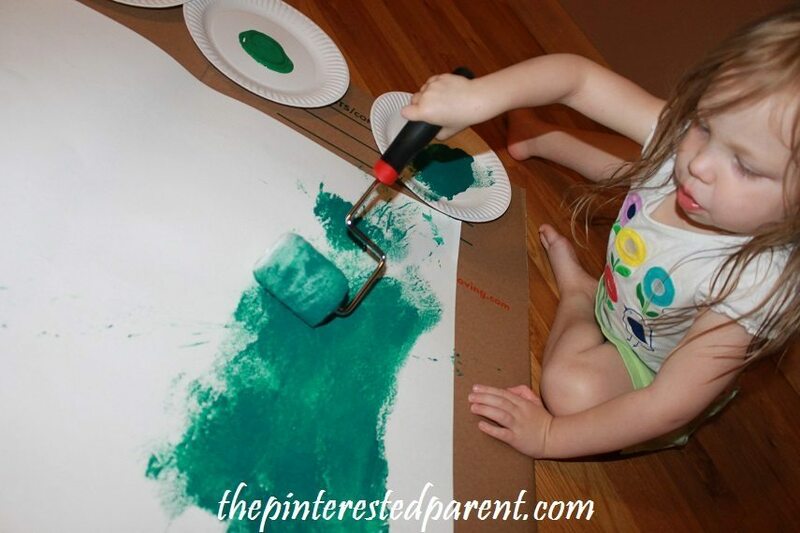 I thought it might be fun for her to use a smaller detail roller to make a pretty piece of art. 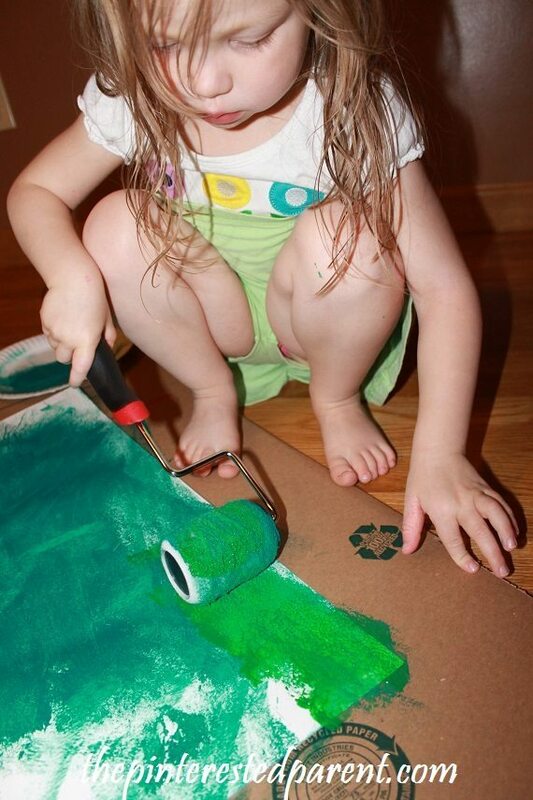 Lay down some newspaper or something to protect your floor from the paint. 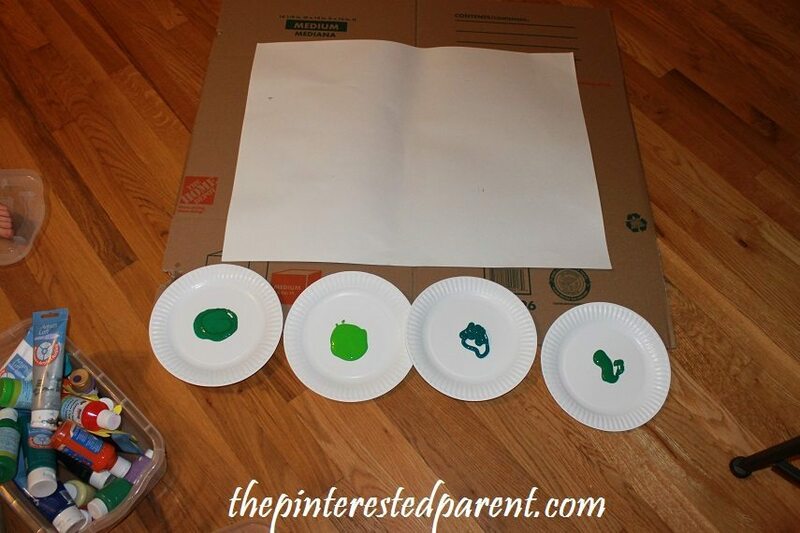 Place a piece of poster board or canvas down on top of it. 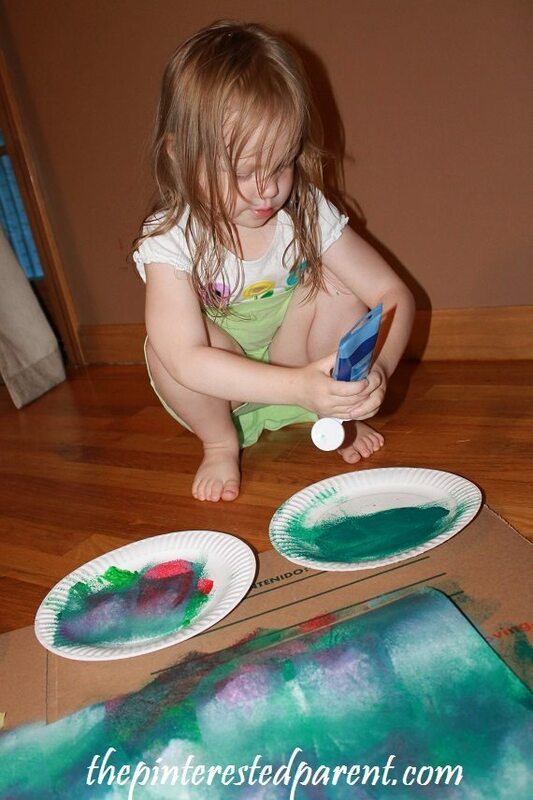 Squeeze out different colors of acrylic paint onto paper plates. 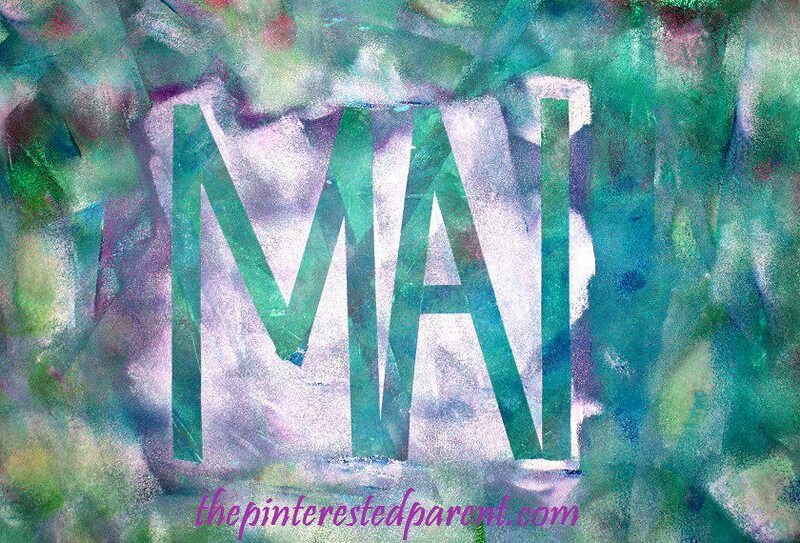 At first Mai only wanted shades of green, but later changed her mind & added in more colors. 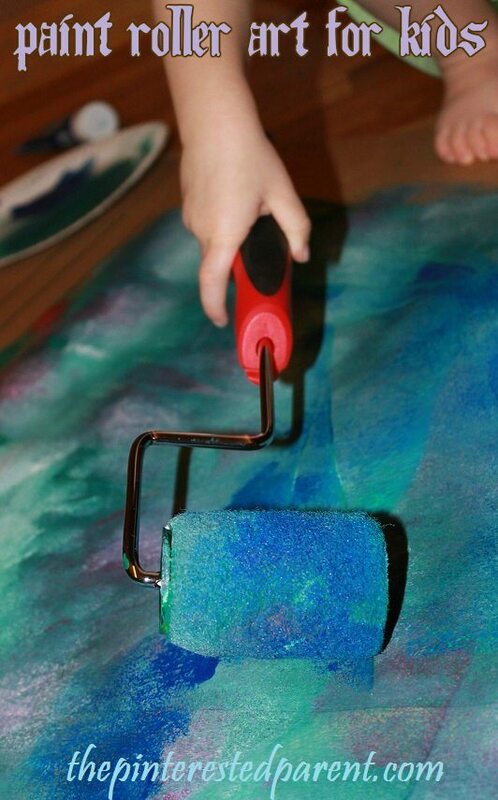 Let your child roll the roller into the paint & then onto the paper. 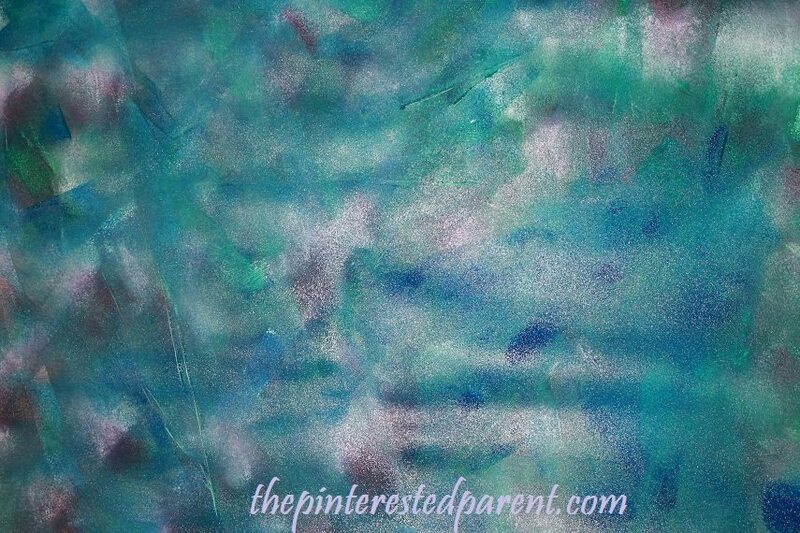 Dip the paint into another color & layer the colors. 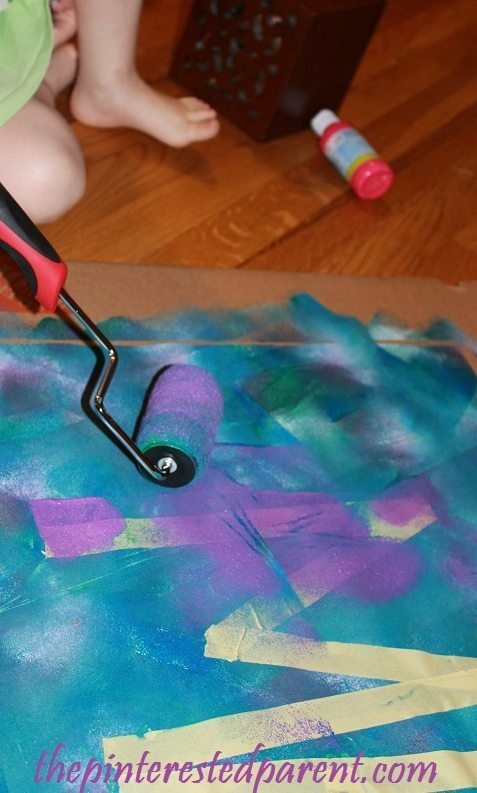 Continue to layer different colors & cover your canvas. The painting looked lovely with the different layers of colors. We could have left it as is, but we decided to take it one step further. We let the paint dry & then used masking tape to spell out her name. 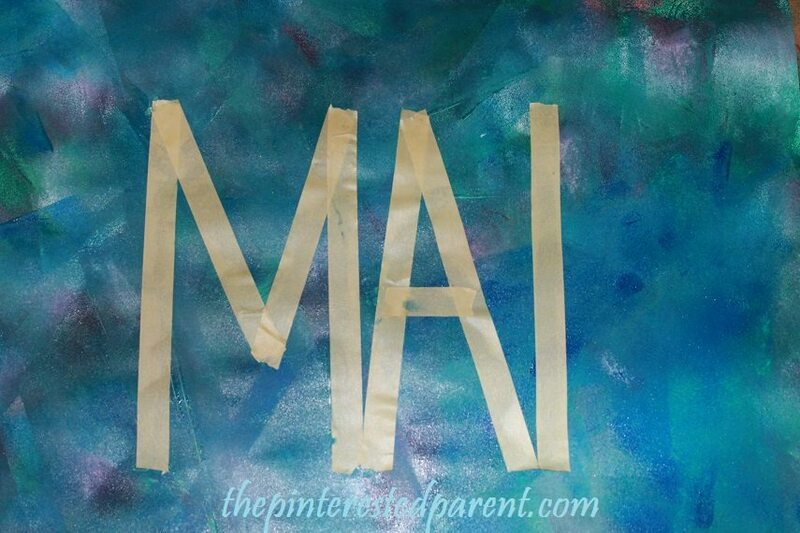 Mai painted over the area over & around her name. 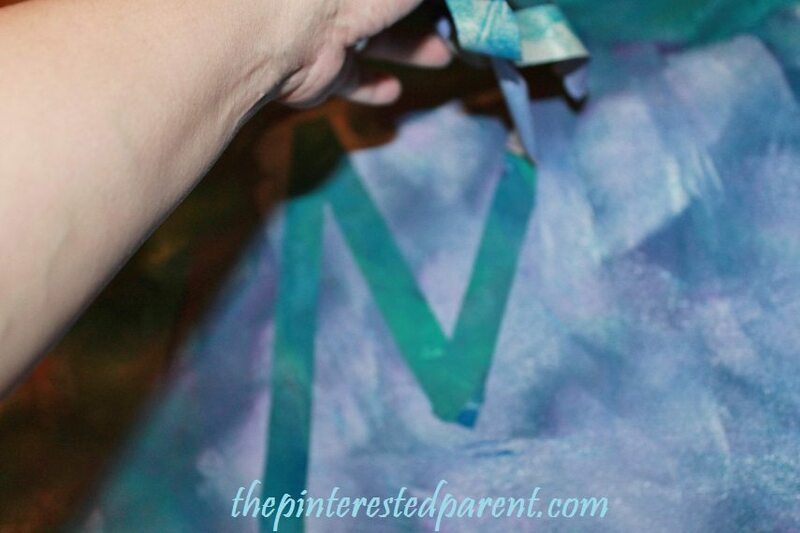 The paint on paint tape resist creates a beautiful marbled look for your letters. 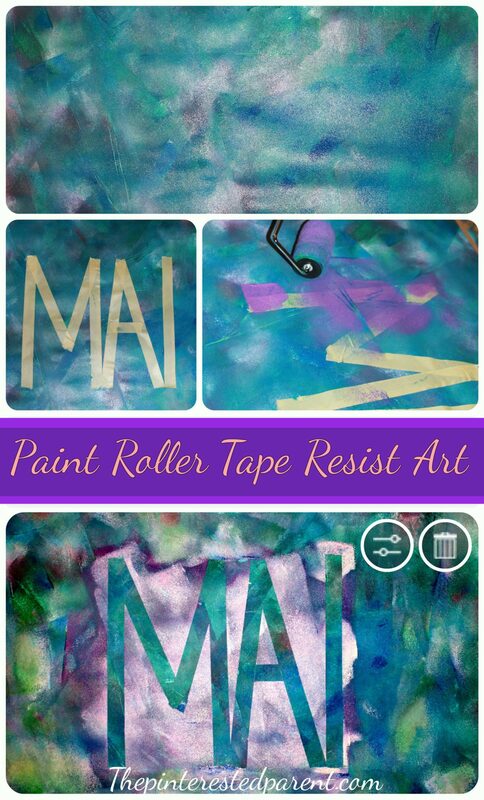 Mai really enjoyed using the paint roller. We will do this craft again & again.